When you pay good money for a canister filter, you probably expect it to work seamlessly. Fluval G6 aquarium canister filter costs quite a bit, but is it worth the price Fluval asks for? Well, stay tuned. We are gonna represent our Fluval G6 review today! The purpose of Fluval G6 canister filter review is to answer all the questions you might have. G6 has great features and is quite efficient, but are those enough to consider buying this filter? Before we go into the details, we need to mention that Fluval G6 has made it’s way to the list of our top 10 fish tank filters. Should You Buy Fluval G6? 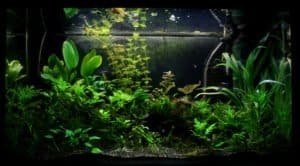 Let’s Watch a Video of Fluval G6 Review! The maximum aquarium capacity supported by G6 isn’t impressive for the price of this filter at all. With pump output of 650 US gallons per hour and filter circulation of 265 US gallons per hour, G6 supports up to 160-gallon aquariums. There are a lot of cheaper models that work with far larger tanks! However, if it’s not the supported capacity in G6 that is of interest to you, this won’t be an issue. By the way, the pump system of G6 features a three-component drive mechanism offering reliability and efficiency with little to no noise. The dual drive coil is automatically regulated thanks to two Fluval G microprocessors constantly monitoring the power usage and performance. Just like virtually any canister filter, G6 comes equipped with an auto priming device. You just need to push the priming button 2-3 times for the pump to start pumping water and draw away air from the filter. The sturdy fiberglass filter chamber withstands up to 15PSI of pressure. It accommodates up to 3 filter media baskets, which are provided along with the filter. G6 supports a wide range of filter media, so you will be easily able to combine multiple types to ensure all-around filtration of the aquarium water. The HydroTechTM intelligent monitoring system stores and gathers real-time data on the filter performance, parameters of the water, as well as fixates filter cleaning dates. On the inbuilt screen, the system will highlight such data as the flow rate, water temperature, and conductivity. Besides, it features maintenance scheduling functionality. With the proprietary AquaStop system, G6 allows you to easily stop the water flow by simply closing a valve. Then, lift the release lever, and you will be able to disassemble the canister filter without removing the hosing. G6 is equipped with a silicone gasket, which offers reliable sealing of the interior. Even saline water won’t corrode or oxidize the seal, making it pretty much impenetrable. But all this is on paper. In reality, the users of G6 experienced frequent leakage issues. Most of the time, the issue came from the gasket. Just look at the Amazon reviews of Fluval G6: about the fourth of them are one-star! There have certainly been satisfied users, but isn’t the number of disappointed users a little bit large? The worst thing is that it is pretty much luck that determines whether or not you will get a faulty G6. G6 comes backed up by a 2-year warranty. Be mindful though that you may experience some difficulties when trying to contact Fluval as most of those who had encountered leakage did. This doesn’t necessarily mean that the support of the manufacturer is bad, but as a customer, you probably won’t be pleased if the support happens to be delayed. 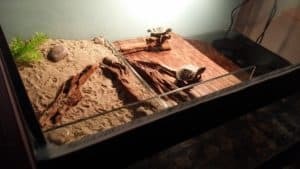 Great choice for moderately sized aquariums. Durable and capacious filter chamber with 3 filter baskets. The intelligent monitoring system delivers filter and aquarium water data. G6 is easy to take care of. Secure and durable seal of the gasket. Many complaints on leakage issues. From the standpoint of features, G6 is highly interesting. It is easy to maintain, it delivers thorough data on the condition of the aquarium water like flow rate and conductivity, it works with a wide range of media. Though the supported capacity could have been higher. Fluval G6 could be an ideal choice for you… If you take the risk and buy it. We can’t and you probably also shouldn’t ignore the number of complaints on leakage issues Fluval G6 has. 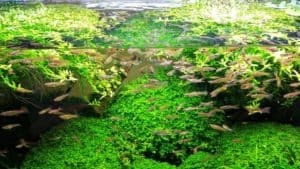 Fluval might have resolved these issues over the years, but G6 could still be an expensive mistake to make. Apart from spending money, getting a replacement for Fluval G6 will probably be exceptionally annoying and time-consuming. However, leakage issues don’t make G6 a bad aquarium filtration system. It still is an excellent product. So if you have been looking for an aquarium filter system to keep a good eye on the water condition with, G6 is among the best models you could buy. 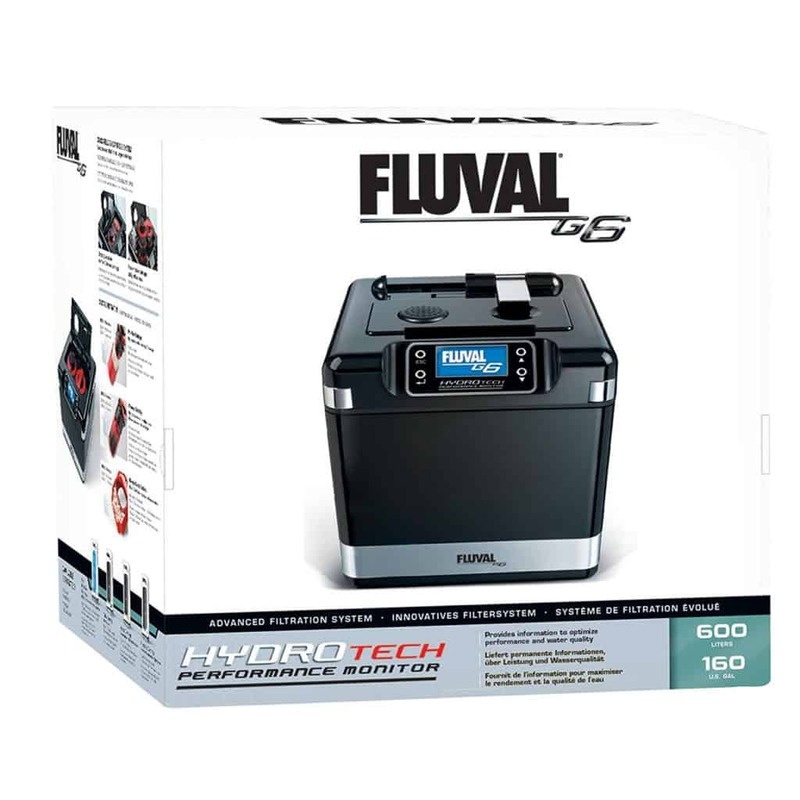 If you are simply looking for a very good performing canister filter and not much concerned with the high-tech options then go for the another model by Fluval which is Fluval FX6. You can even consider Fluval FX4 if your fish tank is not that large! Q. Can I put foams or synthetic cotton in the filter chamber? Ans: The filter chamber is kind of oval shaped. So you need to cut the foams accordingly and put it in the basket. Q. Is the conductivity feature useful? Ans: It is a bit difficult to answer that question. Actually we like this feature in Fluval G6. 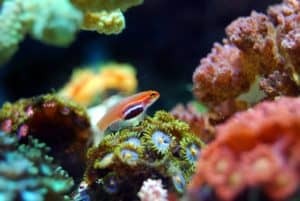 Conductivity indicates if there is any pollutants or stuff in your aquarium water. As long as the tank is clean the fishes will be happy. If you find this conductivity rising you can perform a water change and the reading will come back to normal. So it is helpful to indicate if something is wrong with the water. But to be absolutely sure, just get a water test kit and measure the parameters. We hope that Fluval G6 canister filter review has managed to objectively represent this canister filter. It indeed is a great model, but we feel that making the final choice with it will be challenging for the most of the people. Feel free to get it if you have the budget to spare or if you don’t mind to play the game. But be mindful of all the risks.